Free delivery for orders over £19.99 to same UK address. This excludes homeopathy which will continue to be sent free. Most orders are sent via Royal Mail and sent out the same day if ordered before 4 pm. If there is going to be a delay we will let you know. There may be an extra charge for Highlands and Islands but we will let you know before despatch. Other items to Europe and Rest of World are priced according to weight. Please send an email to [email protected] so we can provide you with accurate pricing. You may for any reason cancel your order, at any time before the goods are despatched, or within 7 working days from receiving the items. If for any reason you are unhappy with your purchase once you've received it, you can return it to us in its original and saleable condition within 30 days of the date you received the item. We will issue a full refund of the price you paid for the item. Please note that special offer items cannot be returned for a refund, but we will be happy to replace it for a different product or issue a credit note if the item is unsuitable. 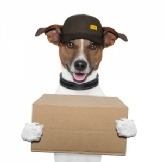 Should any product purchased from Canine Natural Cures be found to be faulty, damaged in transit, or differing from the description given at the caninenaturalcures.co.uk website then we will either replace or refund the product. Please call us on 0845 127 9903 if you wish to return an item. This does not affect your statutory rights as a consumer.